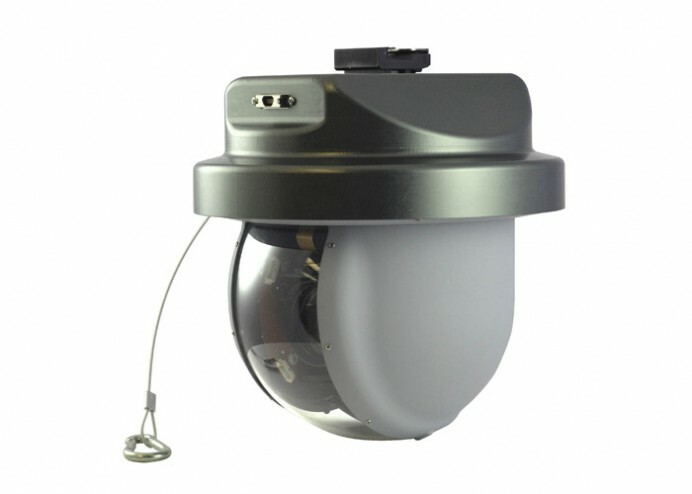 April 8, 2014 – Hood River, OR – Hood Tech Vision, a leading manufacturer of stabilized imaging payloads for small unmanned and manned systems, announces the new Alticam 05EO5 turret. Hood Tech Visions’ ultra-stabilized gimbal system features exceptionally low size, weight, and power (low-SWaP) requirements for small to medium unmanned systems. The new pan-over-tilt imaging system is ideal for small UAS that require exceptional electro-optical (EO) video that uses lower power (less than 20 W) and weight (turret only is 0.750 kg), leaving extra space and power for multiple intelligence (Multi-INT) sensor configurations on the same platforms. The 4-axis, gyro-stabilized gimbal system with coordinate hold mode includes embedded video stabilization and tracking with an embedded video server and optional network interface. The dual-mode operation provides network/serial and/or analog video. The new Alticam 05EO5 turret is vibration isolated; it offers better optics, improved stabilization, and serves as a drop-in replacement for earlier Alticam 06 and Alticam 07 turret models. For Multi-INT platforms that require ultra-stabilization with an exceptional EO imaging system in a small package, HoodTech Vision’s Alticam 05EO5 turret is available now for shipping.